OMGG – The Batmobile lives! 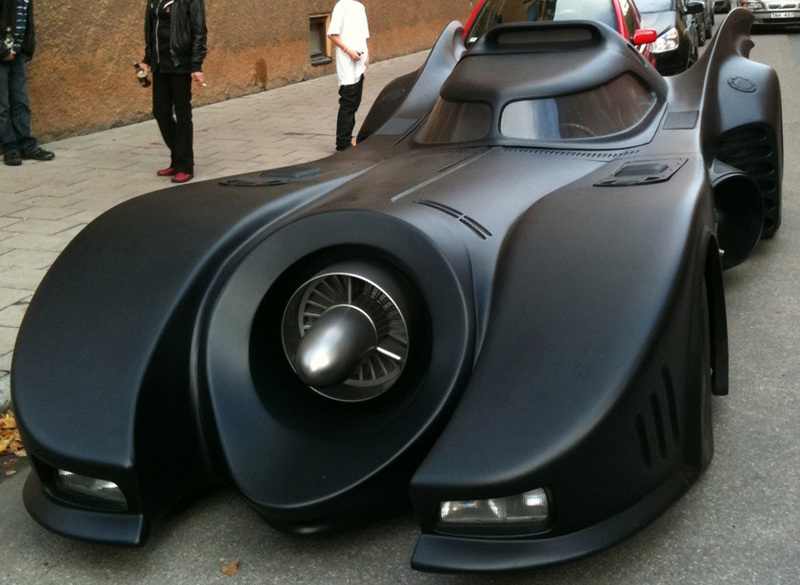 Whoa, so some dude’s built a full sized Batmobile replica [original] and is driving it around Stockholm in Sweden? Time: 3.5 years, 20,000 hours of painstaking work to convert a ‘73 Lincoln Continental. Contents: DVD, voice recognition, height adjustment, reversing cameras…. Pleasure: Incalculable, as people gather around to oggle outside IKEA. Quick Robin to the Batmobile. the batmobile , the most awesome and exciting car invented for the movies but i would be happy to own a replica too , just give me a million bucks ! For this car $1 million is worthy. What a bunch JERKS. Comments mean nothing. Who's got a million dollars to waste on a SUPER TOY? DAN, shut up! Just let us dream, dream, dream!!!! !